In 2015 the webcast explored a critical aspect of violence prevention – community-led action. Our speakers represented a broad diversity of perspectives and experiences on this topic. The broadcast featured three short presentations followed by an extended question-and-answer session with the studio and remote audiences. 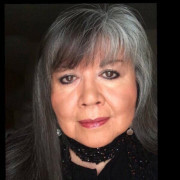 Pamela Jumper Thurman, PhD (Cherokee) is a Senior Research Scientist at Colorado State University and the Director of the National Center for Community Readiness with expertise in HIV/AIDS, Substance Use, Violence Prevention, Community Based Participatory Research, and Cultural Issues. She is a co-developer and co-author of the Community Readiness Model and has applied the model in over 3,000 communities throughout the U.S. as well as over 41 communities internationally. She has worked with cultural issues utilizing community participatory research, prevention of alcohol, tobacco and other drug abuse, methamphetamine treatment and prevention, prevention of violence and victimization, rural women’s concerns, HIV/AIDS and solvent abuse. She currently serves or has served as principal investigator or co-principal investigator for 18 federally funded grants that examine community/grassroots prevention of intimate partner violence, state wide initiatives to prevent methamphetamine use, epidemiology of American Indian substance use, prevention of HIV/AIDS and epidemiology and prevention of solvent use among youth. She is the project director of a CDC funded effort to provide capacity building assistance aimed at community mobilization for HIV/AIDS prevention in ethnic communities throughout the United States. Frank Perez serves as the National Program Director for Cure Violence, an anti-violence program that reduces gun crime. 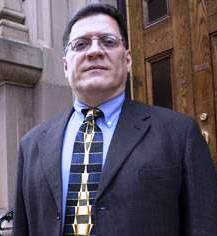 Perez oversees the implementation of the Cure Violence model in national sites including Baltimore, Kansas City, Phoenix, Philadelphia, and Newark, and also works with new communities interested in implementing the model. Formerly known as CeaseFire Inc., Cure Violence approaches street violence with a unique strategy, employing community outreach workers and violence interrupters from the most dangerous areas of a city to intercede in potentially-violent situations and counsel at-risk individuals. This “boots on the ground” strategy is a method associated with disease control and it is Cure Violence’s position that, similar to an infectious disease, gun violence is a public health issue that can be reduced by changing behavioral norms using disease control methods. Perez has worked in crisis/violence intervention programs for over 25 years and has a masters degree in Social Service Administration from the University of Chicago. Previous to Cure Violence, Mr. Perez worked on the Crisis Reduction Intervention Services Program (CRISP), the Little Village Project, and the Comprehensive National Youth Gang Model. Leon T Andrews Jr. was recently appointed as the director for Race, Equity And Leadership (REAL) at the National League of Cities and prior served as the senior fellow and program director at the National League of Cities’ Institute for Youth, Education, and Families, where he led all of the Institute’s youth development work with mayors and other municipal leaders around the country including in areas related to childhood obesity, disconnected youth, youth engagement and leadership, and youth master planning since 2006. Before joining the National League of Cities, Leon completed a research fellowship at The Forum for Youth Investment. Leon has an extensive background working in government, the community, the private sector, and academia for the last 20 years including the United States Department of Justice, United States Senator Barbara A. Mikulski, the United States Public Interest Research Group, the Allegheny County Department of Human Services, YouthBuild Pittsburgh, the Development Corporation of Columbia Heights, PricewaterhouseCoopers, and as an adjunct professor in the Department of Political Science at Eastern Michigan University. He is a published author, a presenter at a number of conferences and other forums throughout the country, and serves on a number of national and local boards. 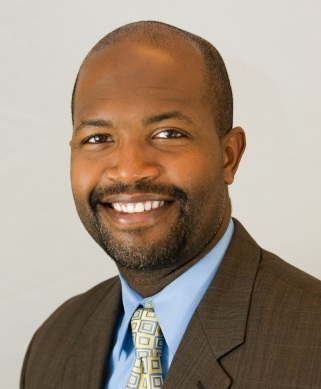 He received his Bachelor of Arts in Political Science from Howard University, a Master of Science in Public Policy and Management from Carnegie Mellon University, and is a PhD candidate in the Urban and Regional Planning program at The University of Michigan. Leon is married to an amazing woman, Dr. Kristine M. Andrews, for the last 12 years and they have three beautiful daughters – Jessica Austin, Julia Iris, and Joanna Jonas. Moderator – Nia Wilson, Executive Director of SpiritHouse moderated for 2015. Nancy “Mama Nia” Wilson has been a part of the SpiritHouse family since 2002. Mama Nia originally hails from Norwalk Ct., where she has acquired over twenty years of direct care client services, ranging from early childhood education to mentally handicapped adults. She is a practical nurse who has specialized in pediatric and psychiatric nursing, but found a much stronger calling working with teens and their families in drop- out, drug and pregnancy prevention. Mama Nia is a mother, poet, performer, and storyteller, whose works with fellow artists, organizers, encourages community members to assess, express, and address their own needs. The National Health Equity Research Webcast is an interdisciplinary, collaborative effort that builds on the expertise and support of UNC campus partners, community agencies, researchers and practitioners in health and education fields. The webcast appeals to organizations and individuals in North Carolina and across the nation with a focus on health equity, educational achievement and economic stabilization in all areas within our society. Our partners and donors for 2015 are listed below.